The Courtauld Institute of Art is pleased to confirm that the Witt and Conway Libraries will remain open to the public five days a week and [that] the Photographic Survey collections will continue to be accessible by appointment, contrary to concerns recently expressed by some members of the art community. Like other higher education institutions worldwide, The Courtauld has had to review all its operational activities and services in the light of the current economic climate. This review has led to a decision to restructure the management of our image libraries in order to minimise their net cost to the Institute. To allow time to implement the agreed changes, these libraries will be temporarily closed from 7 September 2009 and will reopen on 2 November 2009. They will then be open to the public from Monday to Friday between the hours of 11am and 4pm (subject to usual Bank Holidays etc). Requests for photographs, rights and reproduction rights from the Witt and Conway Libraries should continue to be addressed to Courtauld Images: +44 (0)20 7848 2879, images@courtauld.ac.uk or via www.courtauldimages.com. The Witt Library houses a collection of about 2 million reproductions of Western paintings, drawings, and prints from 1200 AD to the present. The Conway Library has more than 1 million images, including photographs and cuttings of architecture, architectural drawings and publications, sculpture, ivories, seals, metalwork, manuscript illumination, stained glass, wall paintings, panel paintings, and textiles. CAA welcomes two art organizations into its family of affiliated societies: the European Architectural History Network and Public Art Dialogue. Affiliated societies are groups of art professionals and other organizations whose goals are generally consonant with those of CAA, with a view toward facilitating intercommunication and mutual enrichment. The European Architectural History Network (EAHN) supports research and education by providing a public forum for the dissemination of knowledge about the histories of architecture. Based in Europe, it serves architectural historians and scholars in allied fields without restriction on their areas of study. The network seeks to overcome limitations imposed by national boundaries and institutional conventions through increasing the visibility of the discipline among scholars and the public; promoting scholarly excellence and innovation; fostering inclusive, transnational, interdisciplinary, and multicultural approaches to the history of the built environment; encouraging communication among the disciplines that study space; facilitating the open exchange of research results; and providing a clearinghouse for information related to the discipline. 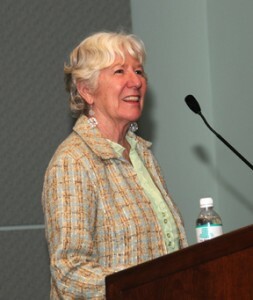 Public Art Dialogue (PAD), cochaired by Harriet F. Senie and Cher Krause Knight, is an organization devoted to public art. Its membership includes art historians, artists, curators, administrators, architects, landscape architects, and others engaged with the wide arc that encompasses public art. PAD’s goal is to provide platforms for dialogue among public-art professionals and students across disciplines. For more information on CAA’s affiliated societies, please write to Emmanuel Lemakis, CAA director of programs. 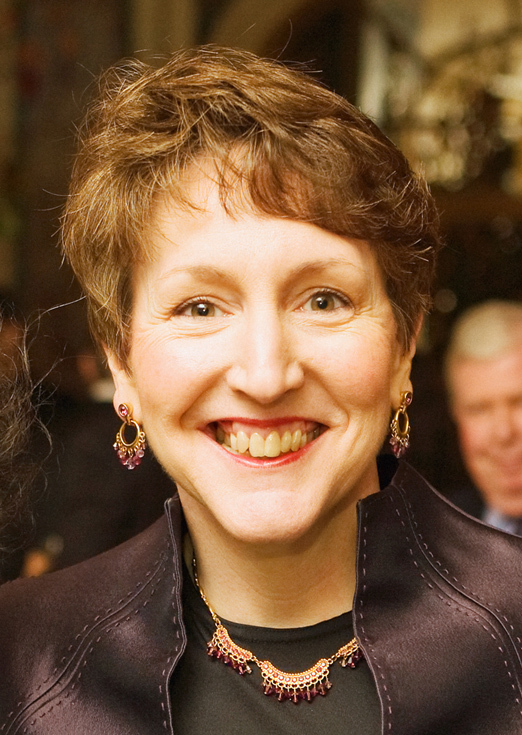 Maria Ann Conelli, executive director of the American Folk Art Museum in New York since 2005, was elected by the CAA Board of Directors at its May 2009 meeting to replace Faya Causey, who has resigned. Conelli will serve the remainder of Causey’s term, through 2012 (unless she is elected to the Executive Committee of the board). From 2001 to 2005, Conelli was dean of the School of Graduate Studies at the Fashion Institute of Technology, State University of New York. During the 1990s she was chair and faculty member for the MA Program in the History of Decorative Arts at Parsons School of Design in Manhattan. Conelli earned a doctorate in art history and a master of philosophy from Columbia University, and an MA and BA, respectively, at the Institute of Fine Arts at New York University and Brooklyn College, City University of New York. The recipient of several fellowships, including ones from the Getty and the American Academy in Rome, she has given papers on Renaissance art and architecture in the US and UK. The CAA board and staff are pleased that Conelli has agreed to serve at this critical time, as the new strategic plan is being developed, because of her extensive experience in planning in both academia and art museums. 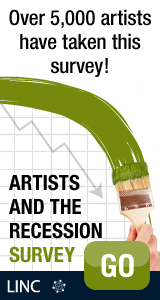 The creators of the Artists and the Economic Recession Survey invite artists to share their experiences with the conditions they face in the current economic climate. The online survey, which is live through September 4, 2009, is conducted by Leveraging Investments in Creativity (LINC), a ten-year national initiative to improve conditions for artists, and supervised by Princeton Survey Research Associates International. Completing the survey takes about fifteen minutes, and all responses are anonymous. LINC has been working with organizations around the country to distribute the survey in order to reach the widest range of artist voices possible, especially those who may not be part of formal organizational networks like CAA. Reaching as many artists as possible improves the quality of this important research and better equips everyone who advocates for artists and the arts. In addition to completing it yourself, the organizers request that you forward the survey, which is offered in English and Spanish, to your friends and colleagues. LINC has created a simple widget that you can post on your website, newsletter, Facebook page, or blog to let others know about the survey. Each week the image will update automatically to reflect a new statistic from responses to the survey. You won’t have to worry about making changes on your end: the image will remain the same and the text at the top will be updated automatically. Your participation is completely voluntary. If you have any questions about this survey, please contact techsupport@psra.com. Recognize someone who has made extraordinary contributions to the fields of art and art history by nominating him or her for one of twelve CAA Awards for Distinction for 2010. Award juries consider your personal letters of recommendation when making their selections. In the letter, state who you are; how you know (of) the nominee; how the nominee and/or his or her work or publication has affected your practice or studies and the pursuit of your career; and why you think this person (or, in a collaboration, these people) deserves to be recognized. We also urge you to contact five to ten colleagues, students, peers, collaborators, and/or coworkers of the nominee to write letters. The different perspectives and anecdotes from multiple letters of nomination provide juries with a clearer picture of the qualities and attributes of the candidates. All nomination campaigns should include one copy of the nominee’s CV (limit: two pages). Nominations for book and exhibition awards should be for authors of books published or works exhibited or staged between September 1, 2008, and August 31, 2009. No more than ten letters per candidate are considered. Visit the main Awards page for descriptions of all twelve awards and read the General Guidelines for details on submitting a name. You may also write to Lauren Stark, CAA manager of programs, for more information. The deadline for nominations for the Morey and Barr awards—July 31, 2009—has just passed. The deadline for all other CAA awards is August 31, 2009. After receiving confirmation from the US Senate last Friday, Jim Leach was sworn in as the ninth chairman of the National Endowment for the Humanities (NEH). A Republican, Leach previously served southeastern Iowa for thirty years in the US House of Representatives, where he chaired the Banking and Financial Services Committee, the Subcommittee on Asian and Pacific Affairs, and the Congressional-Executive Commission on China. He also founded and cochaired the Congressional Humanities Caucus. After leaving Congress in 2007, Leach was John L. Weinberg Visiting Professor of Public and International Affairs in Princeton University’s Woodrow Wilson School. In September 2007, he took a year’s leave of absence from Princeton to serve as the interim director of the Institute of Politics and a lecturer at the John F. Kennedy School of Government at Harvard University. Leach graduated from Princeton, received a master’s degree in Soviet politics from the School of Advanced International Studies at John Hopkins University, and did additional graduate studies at the London School of Economics. He also holds eight honorary degrees and has received numerous awards, including the Sidney R. Yates Award for Distinguished Public Service to the Humanities from the National Humanities Alliance; the Woodrow Wilson Award from Johns Hopkins; the Adlai Stevenson Award from the United Nations Association; the Edgar Wayburn Award from the Sierra Club; the Wayne Morse Integrity in Politics Award; the Norman Borlaug Award for Public Service; and the Wesley Award for Service to Humanity. CAA recognizes the lives and achievements of the following artists, art historians, curators, photographers, architects, and other professionals and important figures in the visual arts. An untitled bill introduced last week in the US Senate may loosen recent government restrictions on fractional gifts of works of art to museums, reports Shelly Banjo of the Wall Street Journal. Senator Charles Schumer (D-NY), whose state contains many important art museums, patrons, and philanthropists, is sponsoring S 1605, which would reform the rules regulating fractional charitable donations of tangible personal property. Fractional gifts—which allow Americans to give partial ownership rights of an artwork to a museum or charitable organization and take an income-tax deduction for the donated portion of its value—were common practice in the museum world until 2006, when provisions put into the Pension Protection Act of 2006 by Senator Charles E. Grassley (R-IA) made partial gifts less attractive for donors. (Namely, that work must be fully donated within ten years of the initial fractional gift, and that the value of the artwork is capped when the first gift is made.) Since then, museums noticed that the practice of fractional gifts has nearly disappeared. Here’s more background information on fractional gifts in the New York Times in 2006 and 2008.